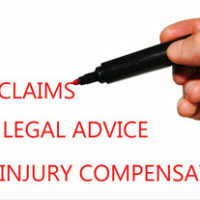 What Is The Office Of The Judges Of Compensation Claims? When a person files for workers’ compensation in the state of Florida, sometimes it will be honored without question. Other times, there might be a perceived discrepancy in facts or even accusations of bad faith. When that happens, an outside arbiter is needed to determine the most appropriate outcome of a workers’ compensation claim. Enter the Office of the Judges of Compensation Claims, (OJCC), which is the entity responsible for handling disputes and complaints regarding the disposition of such claims. It is not the final judge of these claims, but it decides many of them to the satisfaction of those involved. The Florida workers’ compensation system and the OJCC derive their power from Chapter 440 of the Florida Statutes, more specifically from Sec. 440.45, which establishes the OJCC and its governing rules and regulations. While most of the time, workers’ compensation claims are settled between an employee and their employer (or employer’s insurer), the OJCC holds itself out as an option for when a consensus cannot be arrived at. There are 32 Judges of Compensation Claims that practice in 17 different districts across the state. Orlando is the seat of one of these districts, with an OJCC office on West Robinson Street in the city, and three judges available to hear claims. It is generally suggested to go through the OJCC office nearest to your location if at all possible, and if your first interaction with the office is in filing a petition for benefits, your paperwork will be sent to the location nearest you. While this is not absolutely required, it is simple logic to not want to commute long distances to manage your case. The OJCC only begins to interact with an injured worker if their employer (or the insurer) declines their application for benefits. If this happens and the worker believes it to be wrongly decided, they will send a Petition for Benefits to the OJCC with all the relevant information about their claim. There is a finite window of time in which the OJCC must respond after receiving the petition, even if simply to request more information (generally 30 days), and within that 30 days, your employer must be notified of your petition, with either an answer or an agreement to pay the claim following soon after. The next step is mediation, which is a fairly informal proceeding designed to circumvent the possibility of a bench trial. If it is unsuccessful, a pretrial hearing and then a trial are scheduled. The mediation must be scheduled within 130 days (roughly 4 months) of your filing, while a trial, if one occurs, has no specific required date. Once one has been held, a decision must be in your hands within 30 days, but it is possible to wait quite some time between mediation and trial. If you disagree with the OJCC judge’s decision, it is possible to appeal, but only to the First District Court of Appeals, and it must be done within 30 days of its receipt. The OJCC can be the place where your claim is decided in a way that helps you, or it can be but one stop on your journey. Either way, having an attorney along for the ride can help ease your mind considerably. The Orlando workers’ compensation attorneys at the Hornsby Law Group are well versed in these cases, and we are happy to try and help you with yours. Call our office today to set up an appointment.